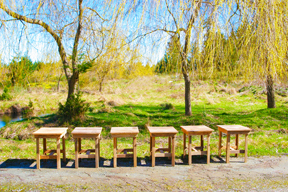 I made six rustic tables from a pile of cedar that had been weathering at my friend Lloyd Nicholsons five acre B&B. 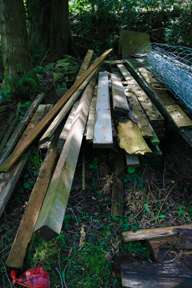 We discovered the cedar while looking for some 2×4’s amongst the weeds. It doesn’t take much to whip a few boards into shape, especially if “rustic” fits into your design plan. 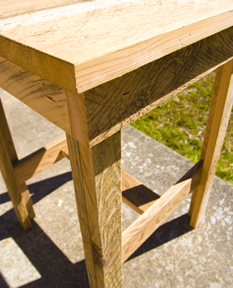 The tops are made from 1″x8″ planed on one edge for gluing. Every thing else is lightly sanded to leave the old rough sawn marks. Lloyd’s B&B has a “Coyboy” Suite. These little end tables will fit right in with the theme. For information about the B&B, visit Touch the Sky B&B on Salt Spring Island.